You don’t have to leave town to find a good attorney. Our concentration is litigation, primarily personal injury law. In addition, our firm also handles complex litigation and insurance defense. Trust and estate plans provide a legal mechanism to recognize your wishes as well as the needs of your survivors. Our firm strives to provide aggrieved parties affordable means to resolve civil and domestic disputes without having to go to court. EBERHARD, WEIMER, CLOUSE, & GLICK P.C. is a firm that has established a strong reputation for providing its clients with representation of the highest quality by the most efficient, economical, and ethical means. The firm has offices located in Lagrange, Albion, and Angola, Indiana. Our firm’s primary concentration is litigation which includes: personal injury, death, products liability, premises liability, construction, and discrimination. The firm regularly appears before many local boards. We have experience in areas ranging from alcoholic beverage commission to zoning boards and most areas in between. The firm also serves as counsel to a variety of governmental bodies, school boards, and transportation departments. In addition to our litigation practice, the firm features a trust and estates division. 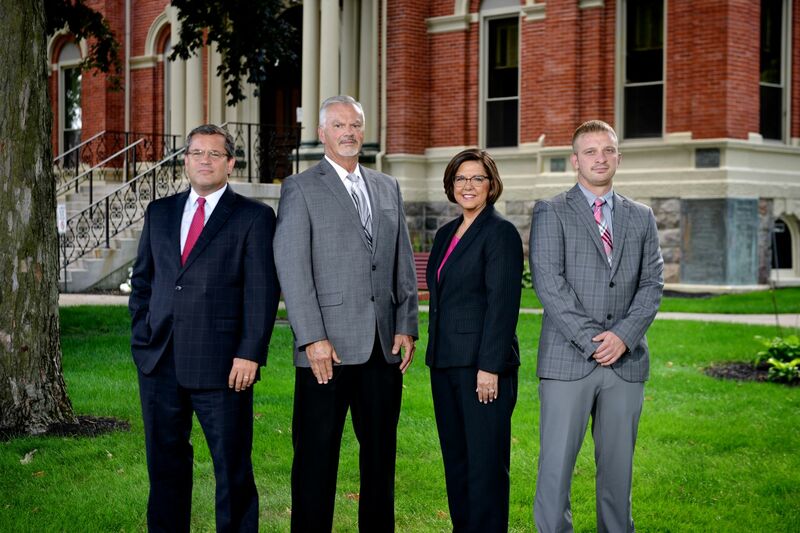 Eberhard, Weimer, Clouse, & Glick’s litigation attorneys have over 50 years of experience serving clients throughout Northern Indiana and Southern Michigan. The firm’s broad knowledge, experience, and advanced technical capabilities are complimented by our small town service, values, and compassion. 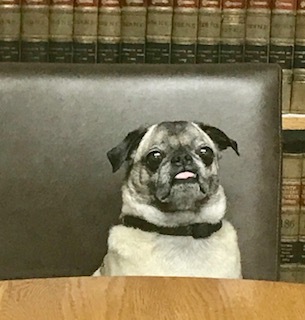 While he is not liscensed to give legal counsel, Benny will be happy to meet with you when you come in. EBERHARD, WEIMER, CLOUSE, & GLICK P.C., is a law firm that provides its clients with representation of the highest quality by the most efficient, economical, and ethical means. We offer a diversified practice to individuals and small and medium-sized businesses and feature a trust and estates division.